Kayser-Fleischer ring, one of the symptoms of Wilson's Disease. ﻿Wilson's disease is a rare inherited disorder that causes too much copper to accumulate in the liver, brain and other vital organs. Symptoms typically begin between the ages of 12 and 23. Copper plays a key role in the development of healthy nerves, bones, collagen and the skin pigment melanin. Normally, copper is absorbed from your food, and any excess is excreted through bile - a substance produced in your liver. But in people with Wilson's disease, copper isn't eliminated properly and instead accumulates, possibly to a life-threatening level. When diagnosed early, Wilson's disease is treatable, and many people with the disorder live normal lives. In Wilson's disease, a particular gene, called ATP7B, on chromosome 13 does not work. This gene normally controls the way the liver cells get rid of excess copper. The disease is an autosomal recessive disorder. This means that, in order to develop Wilson's disease, you need to inherit two abnormal ATP7B genes - one from your mother and one from your father. Although the genetic defect is present at birth, it takes years for copper to build up to the level where it is damaging. Symptoms typically start to develop between the ages of 6 and 20, most commonly in the teenage years. If left untreated, damage to liver cells causes scarring of the liver (cirrhosis). Eventually, severe cirrhosis and liver failure develop in untreated cases, causing severe problems. - A blood test to measure caeruloplasmin. This is a protein that binds copper in the bloodstream. The level is low in nearly all people with Wilson's disease. Other blood tests may also be performed. These may be done to measure your copper levels and to test your kidney and liver function. - A urine test to measure the amount of copper in the urine. This is usually tested on all the urine produced over a 24-hour period. The amount is typically higher than normal. - An eye exam using a microscope with a high-intensity light source (slit lamp) to check for golden-brown discoloring (Kayser-Fleischer rings). 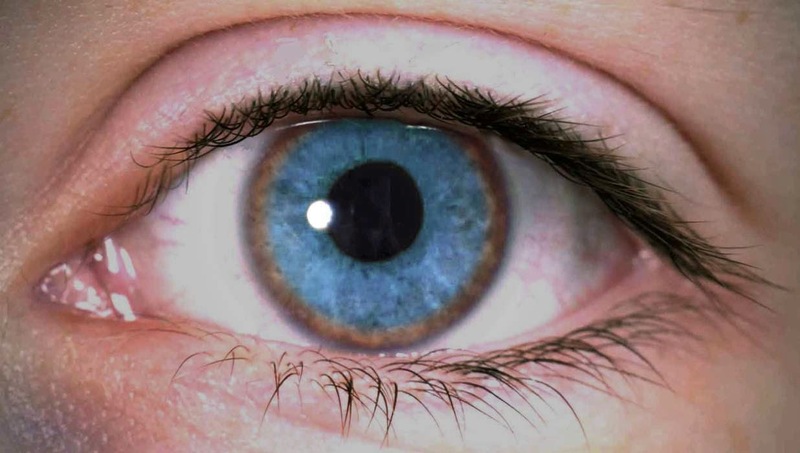 The abnormal appearance is caused by deposits of excess copper in the eyes. Wilson's disease has also been associated with a type of cataract, called a sunflower cataract, that can be seen on an eye exam. - A small sample (biopsy) of the liver may be taken to look at under the microscope. This can show the excess copper in the liver and the extent of any scarring of the liver (cirrhosis). - Genetic testing can also be done to identify mutations of the ATP7B gene. It is essential to treat Wilson's disease. The earlier treatment is started, the better the chance of preventing long-term permanent damage to the liver or brain. - Penicillamine is a medicine used to remove copper from the body (it is called a chelating agent). The penicillamine causes the excess copper from the body to be passed out in the urine. The dose may be reduced to a maintenance dose after about a year when the initial build-up of copper has been cleared. - Trientine is an alternative to penicillamine. It too is a chelating agent and removes copper from the body. - Zinc is an option in certain circumstances. Zinc works by blocking the gut from absorbing copper from food. Therefore, it does not clear excess copper from the body, but prevents any further build-up of copper. Zinc is much less likely than penicillamine or trientine to cause side-effects. It may be an option for people who are diagnosed at the very early stages of the disease and have no symptoms. Also, a switch to zinc may be an option for people who have been initially treated with penicillamine or trientine once the initial build-up of copper has been cleared from the body. Zinc may also be taken if you are pregnant. For the few people who do not respond to treatment with medication, or are diagnosed in the late stage of the disease with severe scarring of the liver (cirrhosis) or liver failure, a liver transplant may be an option. This can be life-saving. The long-term outlook after a liver transplant is usually very good. Foods with a high concentration of copper generally should be avoided, at least in the first year of treatment when the excess copper is being cleared from the body. These include liver, chocolate, nuts, mushrooms and shellfish, especially lobster. If treatment is begun in the early stages of the disease, it usually works very well, and patients can expect a normal length and quality of life. However, without any treatment, Wilson's disease is usually fatal - typically, before the age of 40. If symptoms have developed before treatment has started, some of the symptoms improve with treatment, but some may remain permanently. For example, some of the brain symptoms are permanent once they develop. Your specialist will be able advise about which symptoms may go and which may be permanent, once treatment begins. For further information regarding Wilson's disease, please visit Wilson Disease Association.